Lance Armstrong, Marion Jones, Rashid Ramzi, Kelli White, and Regina Jacobs. These are the names behind some of the most scandalous doping incidents in world sports. Now world famous tennis player Maria Sharapova, five time grand slam winner, and the richest female athlete in the world, has been suspended for doping – using performance enhancing drugs – after failing a drug test on January 26th. Sharapova was charged with an anti-doping violation on March 2nd and will be banned from tennis conditionally from March 12th, as she awaits the determination of her violation. Sharapova claims that she has been taking the prohibited drug, mildronate, since 2006, as prescribed by her family doctor to treat heart issues. However, what she didn’t know was that the drug had recently been added to the list of prohibited drugs in 2016, as it increases the heart’s endurance. Doping has long since been a problem in the world of sports. The pressure to do well is almost suffocating. For up and coming athletes who are young, doping is an easy way to rapidly improve performance. As aging athlete’s face challenges, doping is a way to keep up with the younger generation, especially since professional sports is mostly young person’s profession. Coupled with the easy accessibility of sport-enhancing drugs, doping seems to be a convenient way to improve one’s performance. There are five doping classes of prohibited drugs. Stimulants mask fatigue and make the athletes more alert. Anabolic agent’s steroids help the athletes train harder, and gain more muscle. Diuretics, which hide other drugs, help remove fluids from the body. Narcotic analgesics mask the pain caused by injury or fatigue. Peptides and hormones, give the red blood cells more energy, and help build muscle. There is also a practice called “blood doping”, which is the process of removing one’s blood and storing it, and then injecting it back into the system to improve oxygen flow to the lungs and muscles. Each of these doping methods comes with serious side effects, some of which include heart failure, kidney damage, and strokes. However, a number of athletes are willing to take their chances with the side effects in order to do well in their chosen profession. Why would they sacrifice their health, and resort to illegal practices? In our world, sports play an instrumental role in the world of entertainment. They provide a way to release stress, and emotions in a healthy way. The benefits of playing a sport, not only on a professional level, but also for amateurs, are lifelong. Sports lower blood pressure, increase fitness, heart strength, and overall strength. 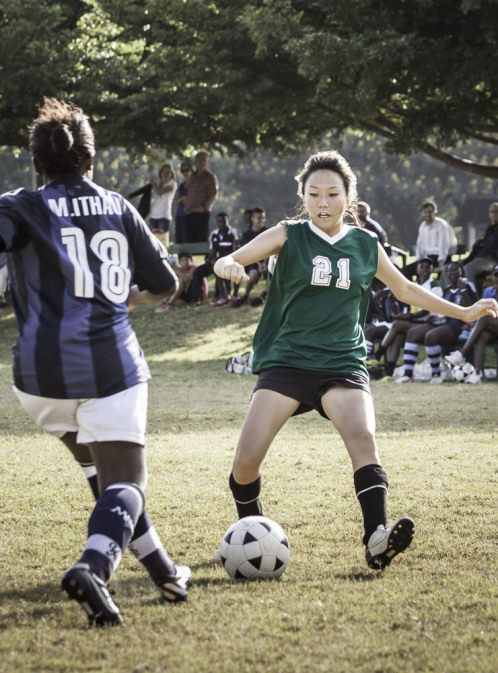 Doctors often encourage people to play a sport. However the professional world of sports is a different game altogether, and is very stressful. Most athletes go into professional sports knowing that at a certain age, usually before 40 their careers will be over. The competition is stiff, and the strain on the athlete’s body is more than exhausting. One injury could ruin a career. And with the Olympics looming, the pressure could be insufferable. Will the tragedies of Sharpova, Armstrong and Jones finally change the behaviours and mindsets of professional athletes, and cause them to eschew performance-enhancing drugs for good? Likely not. It seems that the pressure of today’s media-driven society on athletes is just too strong – and they are too weak to fight anymore. Golden State Warriors- a team that is known for its talent, skill and an outstanding point guard, made it to the western conference first round playoffs. The team had a .622 (W51 – L31) record, which is the best record the team has had in 22 years. Most people would say that it was Stephen Curry who led the warriors through one of their best seasons in history, but I don’t completely agree. Mark Jackson became head coach of the warriors in 2011, by then Stephen Curry had already played for a season, and Coach Jackson was able to work well with the team and direct them to the last two playoffs. This season however, after the end of the Warriors season – eliminated after the first round of the playoffs by the Los Angeles Clippers, Coach Jackson was fired after allegedly having disagreements with the team’s management. Was that the only reason why Coach Jackson was fired? If it is, was it really bad? Is it a good enough reason? If some disagreement is the reason coach, or rather ex-coach Jackson was fired, then it must have been a really bad one. Jackson was taken straight from the broadcast booth without any previous coaching experience, and was able to accomplish quite much, especially considering that fact that he led his team to two playoff seasons out of his three coaching years. Mark Jackson was able to accomplish that much so early, why fire him over a disagreement? Maybe there is more. According to Sports News, he has a way of talking right past people. One can talk to him for 100 days in a row, and on the 101st day, he still won’t know your name. That’s something that everyone picks up on. He didn’t have many friends on the coaching staff or in the administration. Maybe his demeanor combined with his inexperience and with the option of another coach on the table, management decided to fire Jackson. Golden State Warriors then decided to acquire Steve Kerr, a retired American professional basketball player. Kerr is a five time NBA champion, winning three championships with the Chicago Bulls and two with the San Antonio Spurs. Steve is also one of two players in NBA history to have won two championships with two different teams in consecutive seasons. Steve has had a good NBA career and accomplished much, but he also has not had any experience. He was offered a job by Phil Jackson, the president of New York Knicks, which he turned down to join the Golden State Warriors. Steve seems to have chosen #DubNation not because of the fans or hype, but because it seems like he truly has a vision for the team. He wrote a 16 page paper of the vision he has for the Golden State Warriors. He says he has a philosophy and plan that will help him and the team propel forward. Stephen, their star player and point guard, said that he is excited about the new Warriors coach, but he is also still frustrated by the firing of Mark Jackson. He’s encouraged by the prospects of a fresh start under a new regime but still bummed out by the manner the last one just ended. As a fan of Golden State and their play, hopefully they will be able to all fit together and work well. Steve Kerr seems to be a coach that will inspire the team and help them achieve what they want. This past year of football has been a joy to behold, offering players and fans moments of inspiration, entertainment, drama and sheer ecstasy. The Premier League specifically has showcased amazing talents and has been magnificent. This will be a roundup of the Premier League, the winners, losers, and future endeavours. The winners of the league were Manchester City and they fully deserved to win it. They showcased exemplary attacking football that was appealing to the eye. Unlike last year, Man City played with creative freedom. Utilising the attacking aspect of Yaya Toure and building on a solid team, they played well and won the trophy. This was not an easy task and surprise club Liverpool gave them a run for their money. Liverpool was undoubtedly the most entertaining side this year. They had some quality players such as Luis Suarez and Daniel Sturridge getting them the goals, but they also showcased young English talent in Raheem Sterling, Jordan Henderson and Jon Flanagan. Improving from a seventh place finish, they were undoubtedly the most surprising club one would’ve thought in the beginning of the year, to be in the mix for a title. Two players definitely stood out over the rest and they were Liverpool’s Luis Suarez and Manchester City’s Yaya Toure. Toure’s blistering run of form, scoring 20 goals as a midfielder, was remarkable. He proved to be the inspiration City needed at a critical period in the title race and he delivered his talents. Luis Suarez is arguably the best footballer in the world. Scoring 31 goals in all competitions, he made his mark in the world of football positively. His flair, eccentricity and creativity were admirable. Looking past the positives of the league, there were multiple disappointments. Manchester United was one of the top clubs that failed to impress. 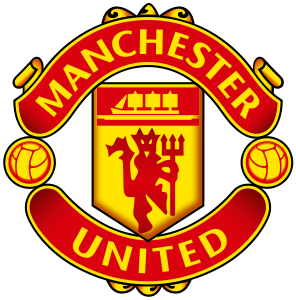 If you are a Manchester United fan, unfortunately, this season, was not a good one. From being the champions to finishing seventh is a huge hit especially when top investments made have failed to impress. Other clubs that have performed poorly are Fulham, Cardiff and Norwich, and they have been relegated. There were also multiple players that severely disappointed the fans and spectators. Just a few names off that list are Maroune Fellaini, Tom Cleverly, Joy Alticor and Ally Cissokho. They all performed very mediocre and not up to par of their respective club’s standards. It was simply abysmal and the fan deserved much more from players of that calibre. Looking to the next season, one can expect Man City to put up a strong fight again and one would expect them to win the league. Chelsea will invest in new players and so you can definitely see them in the title race. Liverpool, although entertaining, will struggle with the number of European games, so there might be a slight falter in their run of wins. One can also expect names like Lallana, Luke Shaw and even Tom Ince, the young English talent, to join bigger clubs due to the high level of performances. 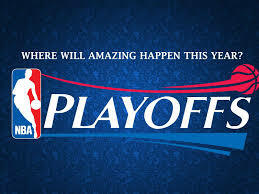 According to Magic Johnson, this may just be the most exciting first round of playoffs in NBA history. I haven’t followed too many previous NBA playoffs, but I’m glad I’m following this one. The playoffs have taken an interesting turn, most of which people didn’t expect. Like the loss Indiana had in game 5 against Atlanta Hawks. Who would think that the number one seed in the eastern conference, Pacers, would be down 3-2 to a number eight seed, Atlanta? Not only in the Eastern Conference: San Antonio has played Dallas four times and they were down 2-1 until the last game they had; now it’s a tie. Really, who thought that the 1st seeds would be losing sunlight to eighth seeds. But there is more, much more than the simple ‘I knew that would happen’ This is the NBA, the highest level of basketball there is, where anything could happen. The most surprising result, for me at least, was the loss of Indiana Pacers to the Atlanta Hawks. Indiana had a .683 record (won 56 lost 26) in the regular season, and the Atlanta had .463 (won 38 lost 44). This means that the Indiana had won more than half their games, which Atlanta had not achieved, who did not win even half of their games. Indiana didn’t win all their games, but they won many of them, mostly in the beginning of the regular season. In the beginning of the season Indiana had a controlled game that they paced. They kept the scores low and the defense tough. On offence, they depended on their star players who were actually quite dependable, until they weren’t. The team has had many selfish players, because players like Paul George, have done much throughout the season, and he still is. But this is the playoffs, and he is human; he can’t do everything all the time, the team needs to trust each other more, to help each other and share the ball more. Also, there was some indifference to the losses they had, especially during the games right before the playoffs. They didn’t seem like they were too worried, even when losing to the teams they won several times before. This was until the Pacers lost in game 5 that they somewhat started playing more to their potential, or so it seemed. The Pacers have won their last three games, but it wasn’t until the last game that they really played well. They shared the ball, shot much better, and most importantly they hustled – played like it was their last chance. It was. Being in the Eastern Conference semifinals for the third consecutive year without going any further, they should want this more than anyone else. The only way to do it, is to want it more than everyone else; because no one is just going to let them have it. Despite what they have, or haven’t done. The thing I like the most about the NBA is the work ethic. No one gets what they don’t deserve; even though sometimes everyone does their best. Like game between Portland Trail Blazers against Houston Rockets (what a great shot Damian Lillard), there had to be a winner. NBA players work hard, each one has their strengths and weaknesses; but they don’t just play to their strengths, they do all that they have to to win. Last season Stephen Curry broke the record for most 3-point shots in a single season, but this season he decided he wanted something more, to win. He could probably break his own record; but instead he decided to think of team, and what he needed to do to facilitate more wins. Last season he broke the record, but he also has 539 assists; this season he has 666 assists. This is the kind of selflessness that it takes to win. This is a lesson to us all. One may sometimes need to sacrifice what they want, to get what they need. Nowadays, the amount of money that is being thrown at football is ridiculously high. Whether it is to pay off loans, buy new players or invest in youth facilities, the numbers are extremely high. Like the film or music industry, the football industry is a multibillion dollar industry. I guess it’s completely fair for the clubs to spend money on a player they believe is worth it but it is frustrating when football clubs spend money completely out of proportion and make bad business deals. These massive investments leave a huge gap between the clubs with money and the clubs without much money. 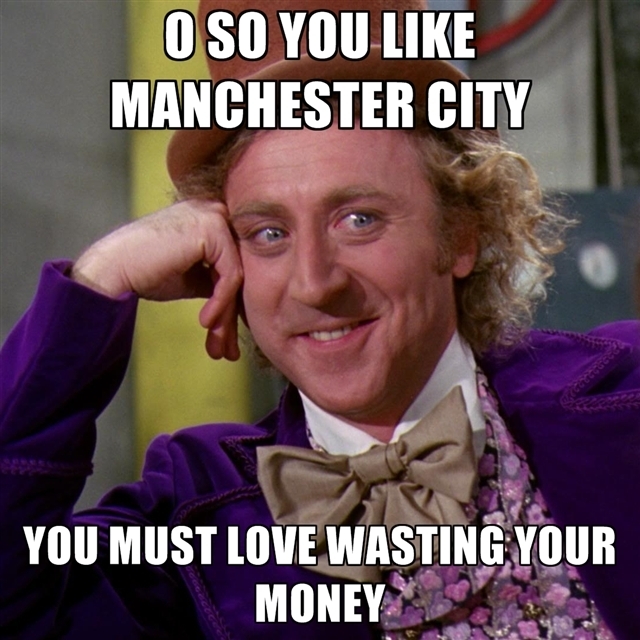 A prime example of a football club spending vast amounts of money is Manchester City Football Club. Owned by the Middle Eastern billionaire Sheikh Mansour, City, which was in 2008 considered an “average” team, recently has been blowing heaps of money for star signings. 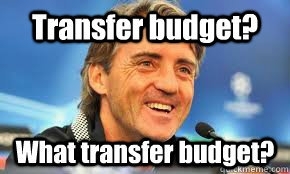 In the past 5 seasons, Manchester City has spent a net total of over £510 million for players and over £1 billion on the club as a whole, including the stadium and youth facilities. I guess it’s not the amount of money they spent that frustrates me, but it’s the lack of trophies, the lack of the quality players and the lack of wins they deliver in relation to the money spent. What can they show for themselves? Each club decides how much a player is worth and the club has every right to spend the amount of money they do on a player, but it is so infuriating when they invest badly. To prove my point, let’s look at some deals Manchester City has done over the past few years. Emmanuel Adebayor was signed by Manchester City during the “Sheikh Mansour Era” for a fee of £25 million. After a string of poor performances and periods of lacklustre displays, he left to join Tottenham for £5 million. City took a loss of about £20 million on him alone. Another example is Roque Santa Cruz, who was signed to Man City for £17 million, and after a horrible spell, his contract was terminated and the club didn’t recoup a single pound for what they paid for him. Robinho signed for £32.5 million, becoming the club’s record signing at the time. Marred with injuries, he left for half of what they paid for him. The list goes on and on, and not only for City; many football clubs have done bad business, but Man City has been one of the worst. Other players that join the list of “Bad Deals” include Stevan Jovetic, Jack Rodwell, Scott Sinclair, Maicon, Javi Garcia, Stefan Savic, Owen Hargreaves, Jerome Boateng, Kolo Toure, Sylvinho, Joleon Lescott, Wayne Bridge, Shawn Wright-Philips, and Elano. That’s a lot of names. Of course they have made some very good signings with the money they spend, but it seems almost as if they have an unending pocket of riches that they blow on all the mistakes they made. Why is this bad? This creates a huge problem for many fans. 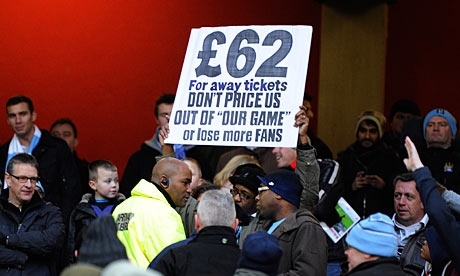 Fans of Manchester City are unable to afford Man City’s high ticket pricing. The usual ticket prices have doubled and have now become £62. While other clubs, even top clubs like Chelsea and Manchester United, price their tickets around £20 to £40, Manchester City demand £62 from all their fans for away games, and slightly less for home games. There have been protests and people have been asking to keep prices reasonable. But hey, if you sign players like Santa Cruz for £17.5 million and sell him for nothing, you’re going to have to make the money from somewhere, right? Not only is it a problem for the fans, but it is a problem for other staff, such as the grounds men and the stadium keepers. These staff members have been overlooked and undervalued. While top stars are earning great recognition and salary bonuses, the “lower” staff has not been getting increases in wage and has just been left behind. In Neil Warnock’s book “The Gaffer,” he comments on how a football club is not just composed of the players and the manager, but is composed of everyone, from the board members to the grounds men. Every fan, every person associated with the club is part of the club and that is what makes football so beautiful. I really don’t have a problem with the money that football clubs pay for players or how much a top football star earns, because they are extremely talented and they deserve the money for their talent. When there are workers keeping their measly salaries, while stars earn unimaginable amounts of money, there comes the problem. When there are diehard fans protesting the amount they pay to watch their team play, there is a problem. Manchester City have been poorly investing, creating high ticket prices and undervaluing other staff, and this is a massive problem. Their only solution to everything: throw some money at it. Lance Armstrong: cancer survivor, philanthropist and seven-time winner of the Tour de France. Last year, he admitted to blood doping, and the media crucified the king of cycling. His kingdom, however, remains very much intact in almost every level of every major sport. ”So ends one of the most sordid chapters in sporting history,” wrote the US Anti-Doping Agency after the outing of Armstrong. WRONG. Out of 21 podium finishers in the Tour between 1995 to 2005, 20 have been directly linked to doping. Dwain Chambers, the fastest 100 meter runner in the UK, reported that over half of the U.S. racing team at the 2008 Summer Games were doping. People are still cheating. People will keep on cheating, most of them won’t be caught and will continue to “taint” competitive sports. If this is true, and the facts speak for themselves, why then do we continue to come down so hard on the athletes that are caught? Wouldn’t it be more productive to control the doping that is happening by relaxing the rules? A more sensible doping system would be one that allows doping until a certain point. That would be easier to test; for example, cyclists in the Tour de France frequently use erythropoietin, which is a drug that increases the amount of red blood cells in the blood stream. If given a limit up to which they can dope it would be easier to find those who are overdosing. Many assume that steroid use or doping would diminish the nature of sport. That the quality of the competition would go down. This is not true. Steroids don’t magically make you a better athlete. For example, I could take a copious amount of steroids and still not be faster than Usian Bolt (I’ve made peace with this). Steroids simply help you recover faster after training. The key word here is training; the athletes would still have to train in order to compete. Others argue that doping isn’t ‘natural.’ This is a flawed argument. Caffeine is allowed, and caffeine is a drug that fights fatigue and improves reaction times. Hypoxic training tents, which simulate training at high altitudes by causing blood to carry more oxygen, are also allowed. Carb loading, which is a system of storing as much glycogen in the muscles by tiring the muscles out a week before a competition, then binging on as much carbs as possible, is legal. Two hospital physicians, Leon Creaney and Anna Vondy, are against doping in sports. They believe in the idea that doping is a moral, and not a medical issue. They believe that allowing doping won’t even the playing field as it would then become impossible to compete without them and this would put athletes who would rather achieve “naturally” in a comprising position. Bioethicist professor Andy Miah of the University of the West of Scotland argues that we should have a “World Pro-Doping Agency,” and would disagree with the two physicians and Mr Loewer marginally, though he does address the dangers of performance enhancement drugs. He states that “At the moment athletes look to find dangerous substances with significant health risks, but with the correct framework in place athletes can know the risks involved.” Many performance-enhancing drugs can be dangerous. Anabolic steroids, for example, can cause acne, infertility, impotence, and psychosis. However, if a sort of government body regulated the intake of these drugs then many health risks would be avoided. Lance Armstrong may have been the king of cycling but he certainly isn’t the king of doping. His incident wasn’t isolated. The drugs he used weren’t special. He managed to beat a system that only catches about 2.9% of those doping in sports. 2.9%. Dope is king. Let’s stop fighting it, reap its benefits and enjoy the show. 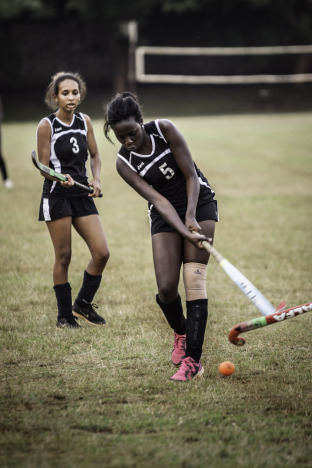 Rosslyn’s girl’s football team hosted RVA for what was to be the final match of their season, a match that would decide the winners of the league. These two teams have worked hard and chalked up many wins to reach this final and both teams were aiming to win it. Rosslyn knew from experience that RVA were no push overs and RVA knew that Rosslyn has had a string of fantastic results. The sun shone brightly as the girls from both teams line up on the pitch. Fans of Rosslyn were cheering their lungs out and were full of passion. The game started out with a high tempo and both teams played with a drive to win. Unfortunately during the game, a collision between an RVA player and Rosslyn’s Anastasia Shchukina forced Anastasia to come off the field. Again, Rosslyn’s misfortune extended as midfield phenomenon Yeeun Lee crashed to the ground after a smash with another player. Clutching her arm, Yeeun was forced off the pitch with a potentially horrific injury. Even with two prominent players off the game, Rosslyn managed to play good football and the first half ended as a stalemate. The cheers by the fans continued despite the half time mark as both teams walked off to their respective areas for their team talk. After the first goal, fans saw a more attacking Rosslyn team. Rosslyn kept the ball, searching out smart passes and made their way into RVA’s box a few times but in the end it came to nothing. What was extremely astounding was the re-entrance of Yeeun Lee. Clutching her right arm and playing to the best of her ability through her pain, she was a prime example of Rosslyn’s tenacity. Playing the game injured, but full of heart, she made Rosslyn proud. However, shortly after the first goal, RVA again worked the ball up, and when inside the box, played a pass and finished with a deftly placed shot in the top right corner making the score 2-0. Despite the score, Rosslyn fans still had much belief in the team, screaming at the top of their lungs and showing the world their love for the team. The RVA attack proved to be too strong as the score became 3-0 with a fine finish in the bottom left corner. All three goals came in the second half of the game. Another astonishing move from Rosslyn was made as the injured Anastasia made her way on to play the rest of the game. Cheers erupted from the Rosslyn fan base as they got to see their playmaker in action once again. The final whistle blew and the game ended; RVA clinched a 3-0 victory over Rosslyn. The players shook hands and ended the game with a final huddle. Fans rushed onto the pitch and shared their love for the players by joining the huddle to perform one last cheer for the spirited Rosslyn team. Although the game ended, there was much noise from Rosslyn, praising their team despite the final score. Rosslyn Academy is a wonderful school, but one thing that I particularly love, and that sets Rosslyn apart, is its sports. On my first day of football try-outs I thought that it would be whoever who could kick a ball that would be able to join the team, until Mr. Schwandt said, “All right people, run for 14 minutes and we will see how much you can do.” Now that I’ve been in Rosslyn for almost two years and taken a bunch of sports and fitness classes, 14 minutes isn’t much; but that first day of tryouts was killer. I had jogged for about two minutes and I was literally lying on the grass because I was completely exhausted, until one of the seniors came and helped me up. Rosslyn is a school that I have come to really respect because it doesn’t take anything lightly, and sports is no walk over either. Before I came to Rosslyn I thought that sports was a time of fun and joking; also a time to not be in class, but Rosslyn has taught me the value of sports. Rosslyn has taught me that sports are fun, but it is much, much more than just fun. First, sports isn’t an excuse for not taking school seriously, sports is what you do after taking school seriously. Also, when one plays sports, it isn’t time to be silly and joke around. One doesn’t have to be dead serious, but it is a time when one learns what they can and what they can’t do well, and then listen so that one can get better. My brother came to one of the games and was surprised with the way the game was exciting because of the cheering and the support that the school gave to the team. He also said that the players were helping each other out and playing together in order to achieve the greater goal of winning, rather than selfish play which helps no one. Emmanuel Balogun, a sophomore, said that he joined Rosslyn sports because he likes to keep active and compete, and also because Rosslyn is “pretty good when it comes to sports.” Balogun stated that his favorite sport is basketball because his teammates and his coach have been able to ignite an interest for the game, more than just keeping active, but the interest that makes one want to work harder and want to become better at the game. Emmanuel also emphasized the importance of the coaches and how they may be a little bit too demanding, but they just want everyone who is participating in their sport to be the best they can and maybe even better. 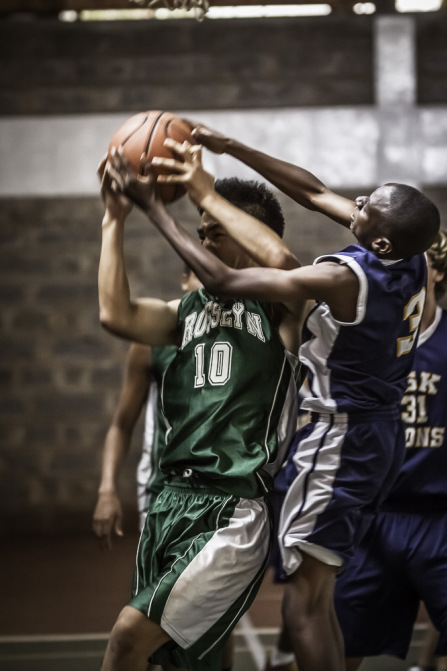 Rosslyn is a school that spreads the virtues of Christianity wherever they go, even in sports: hard work, diligence, fairness, honesty, and other virtues that are always shown whenever Rosslyn plays. She is the star of the A team in girls football and she has constantly been putting in five star displays which have boosted the team’s performance. Yeeun Lee has been integral to the squad and has made a real name for herself. She easily manages to not only give brilliant performances on the field, but also manages to get good grades and is on top of everything from her school work to sports, as well as her other interests. Here is an exclusive chat with the star player herself. 1) How did you first get interested in football? I started playing football in middle school. I really enjoyed playing and the sport just kind of stuck on. 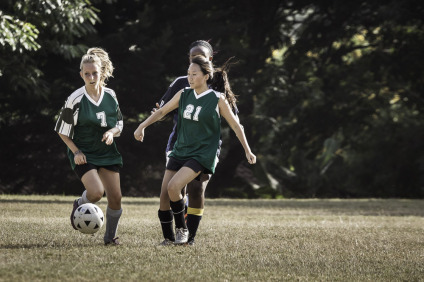 2) As each game passes, Girls A Football Team looks unstoppable. What is the secret to your success? We have such great quality of players, individually, compared to last year. We are playing really well as a team and things are just smoother and easier. The whole team just clicks. 3) Tell us about your practice routines. How do they work? We usually have the normal drills like, the shooting drills, or we recreate different scenarios that would happen when playing a real game. We occasionally switch it up. If we play badly in one aspect of the game, during the match, we would focus our practice on that the next day. 4) How far do you think your team can go? 5) Coming from a line of sisters who were exceptional in sports, did you feel pressure to match them and their ability? My two older sisters, Koheun and Daeun, weren’t that sporty. Jieun played basketball and therefore, I played football. I knew I couldn’t fill her shoes if I played basketball. 6) For all the younger students, how do you manage to perform at such high levels, and also maintain your grades at the same time? Honestly, I’m someone who never procrastinates. I always work ahead and I just have good time management skills. And since I’m on top of my school work, sports don’t get in the way. 7) Are you planning on continuing on with your football career in college? Why or Why not? Probably not. Football isn’t really my focus and I’m not too serious about it. I mean, if a golden opportunity comes up I might take it, but I’m not too serious about it. 8) Who is your inspiration and why? I don’t have an inspiration just solely for football, but I think Koheun, my oldest sister would be my inspiration. She loves her life, travels the world and has fun! What more can you ask for? 9) Is there a particular player or players you play well with? What gives you guys that “sixth sense”? I think it would have to be Anastasia. It’s like we don’t even have to talk. We just make eye contact and we both know what our next play is going to be. I think we have this ability because I’ve just played with her for such a long time! 10) Is there a particular game in mind you vividly remember and why? It has to be the 10-0 win, of course! It’s not just because we won, but it’s because we won with 9 players playing! 11) What are some of your favourite moments while playing football or hanging out with the girls? Some of my favourite moments would have to be the fun bus rides to and from the school, and winning games! Oh, and also making fun of Min Jeong! 12) Who are the leaders in your team and what makes them such great leaders? There aren’t any specific leaders, because we are a team. We don’t have a fixed captain so there’s not “one leader”. 13) Are there any superstitious rituals or things you guys do before matches? We pray before every match and have our classic Rosslyn cheer! 14) Do you like playing in your wing position or would you like to venture out and try other positions? I’ve played this position for so long that I don’t know how to play another position besides this. It’s not like I don’t like it, it’s just the position I play. 15) As this is your final year of playing Girls Football, what are your dreams for your team this season and what do you expect of the future Rosslyn Girls Football teams? I really want this team to win this season. I know if we play our best, we have the ability to do it. For next year, I don’t really care about the next Rosslyn team, because I will be in college. Could it be an unfortunate streak of bad luck or is David Moyes just not getting it right? Replacing Sir Alex Ferguson was never going to be an easy task for any manager, let alone the unproven former Everton manager David Moyes. The underperforming team coasted through last season and finished on top, as champions, with a staggering eleven points clear of second. The same team is now seventh and have been struggling to rediscover their winning form in all areas of the pitch. Much of the scrutiny and criticism Manchester United takes is placed on David Moyes, the handpicked successor of Sir Alex Ferguson. David Moyes is an exceptional manager who has his own ideologies, philosophies and tactics on how the beautiful game should be played, and clearly, they do not match up with that of Sir Alex Ferguson. Moyes prefers the classic and effective 4-4-2 formation for his team, with a wide approach to the game, whereas the previous formation used by Sir Alex Ferguson, was that of a 4-2-3-1. The same players who thrived under the latter formation fail to hit their potential with the 4-4-2. Manchester United does not have two consistent central midfielders to hold the middle line in order. Throughout this past season, Moyes has been constantly changing the midfield pairing, trying different combinations, and this inconsistency could be a leading factor to their woes. Players such as Tom Cleverly, Michael Carrick, Maroune Fellaini, and Anderson have all been used and switched and switched again in failed attempts to find the right control of the midfield. Although Moyes has paid £37.1 million for the Spanish midfielder Juan Mata, the tactics he utilizes fail to incorporate Mata properly. Instead of using his ability to play behind the striker and create chances, Mata has been used on the wing, and this limits his potential to be the creative spark which could turn Manchester United’s season around. Last season, Manchester United was a team that was feared; every club was frightened to play them, but this year, it seems as if smaller teams look forward to playing United, knowing they can very well take the 3 points. Fans of the big football club, in Rosslyn Academy, have been shocked at the team’s performances and are left frustrated after watching lacklustre performances. 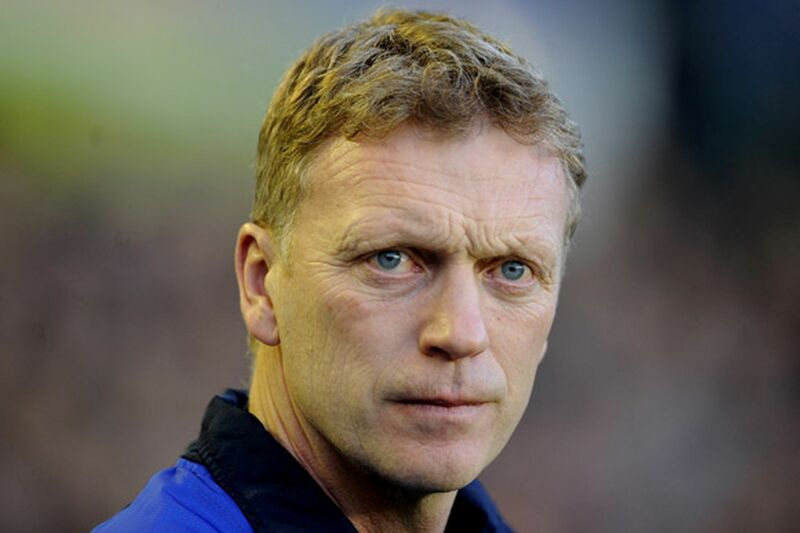 David Moyes is not a bad football manager; he has proven this by staying with Everton Football Club for eleven years, winning the Manager of the Year award three times in that period. He will do what is right for Manchester United and will take them forward but this will happen with time.